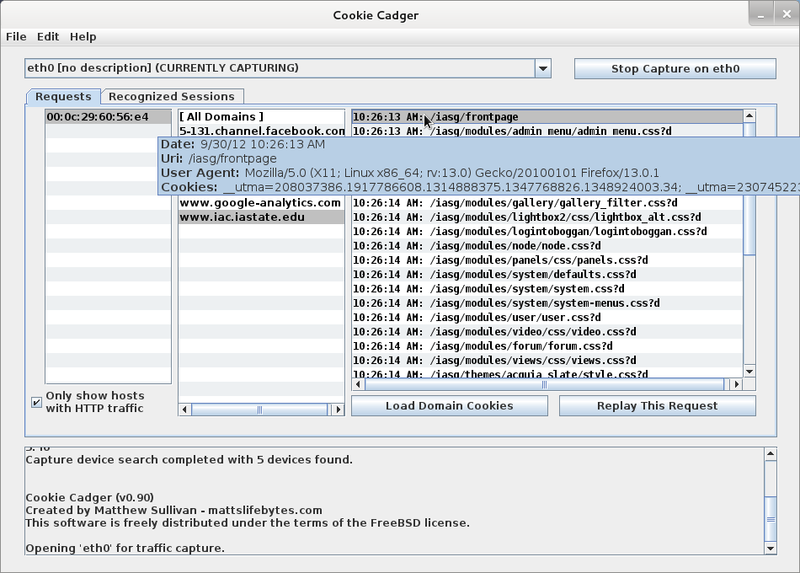 Cookie Cadger works on Windows, Linux, or Mac, and requires Java 7. Using Cookie Cadger requires having “tshark” – a utility which is part of the Wireshark suite, to be installed. Usually simply installing Wireshark will be sufficient. Additionally, to capture packets promiscuously requires compatible hardware. Capturing Wi-Fi traffic requires hardware capable of monitor mode, and the knowledge of how to place your device into monitor mode.